There is something so satisfying about dipping your spoon into a perfectly smooth slice of cheesecake. 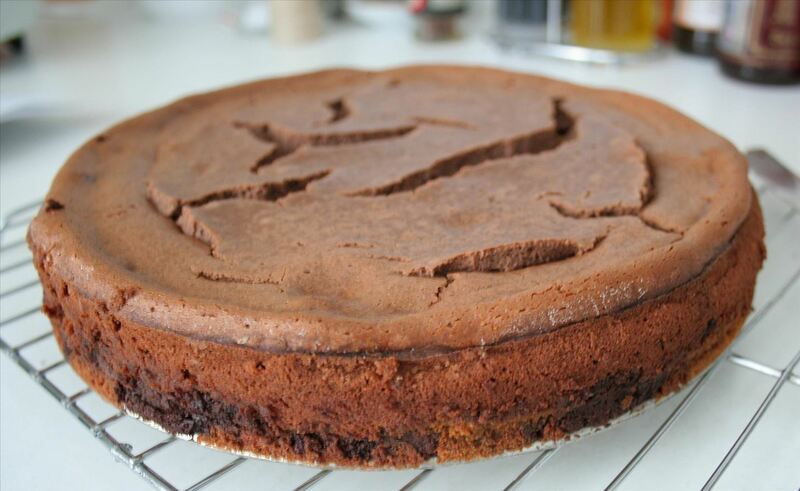 There is something a bit less satisfying about it if the top of the cheesecake is cracked and cratered. We eat with our eyes first, and there is something much more aesthetically pleasing about a blemish free surface rather than one that looks like the skin of a 150-year-old who suntans for 15 hours a day. So here are a few ways to make sure you create a beautiful cheesecake every single time. Bringing all ingredients to room temperature ensures a smooth and lump-free batter. 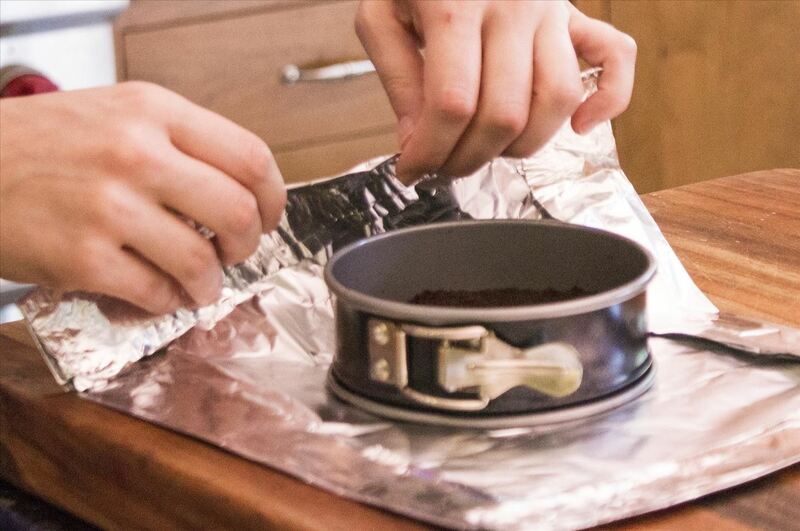 This prevents the batter from seizing up when it is baking. 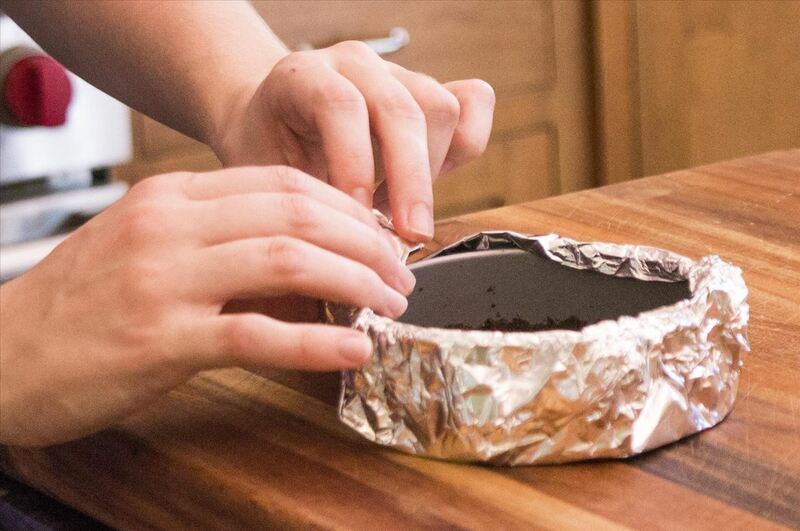 Adding a double layer of tinfoil evenly protects the springform pan from too harsh a heat. It also seals up any potential leaks if your springform pan has seen better days. 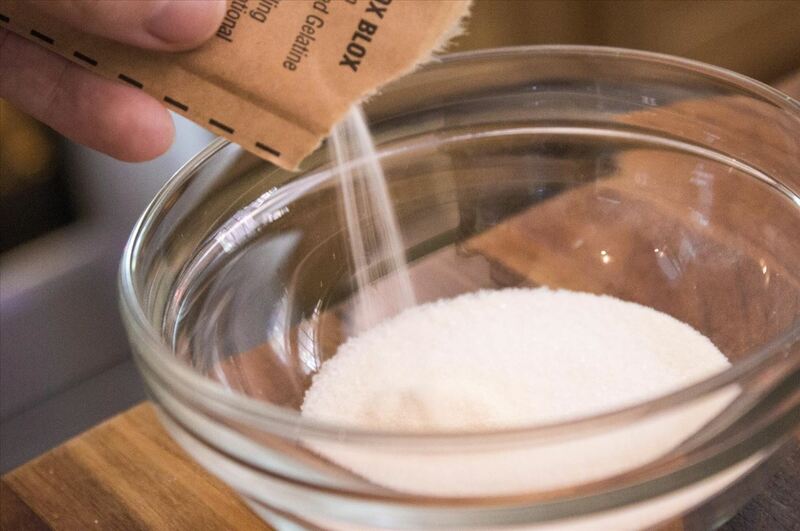 A water bath is the most foolproof way of ensuring even cooking. 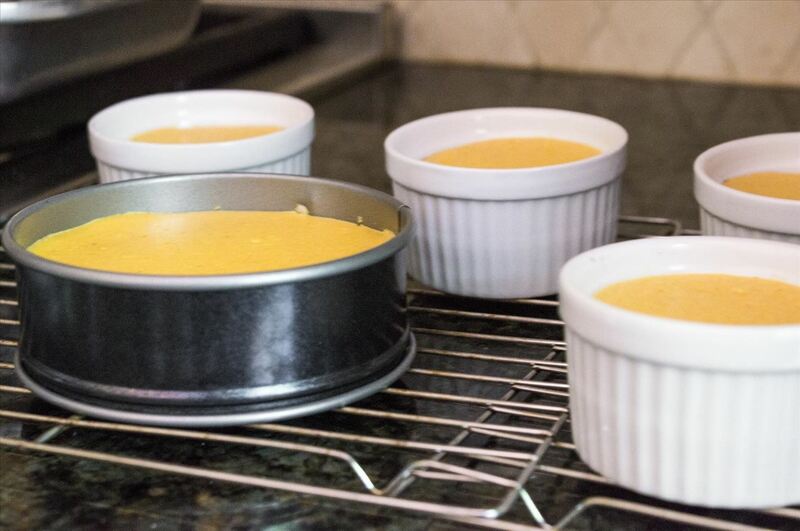 With water surrounding on all sides, it is an even and gentle transfer of heat, and adds moisture to the oven that prevents the cheesecake from cracking. In keeping with the theme of "even" cooking, opening the oven during cooking creates the risk of gusts of cooler air. 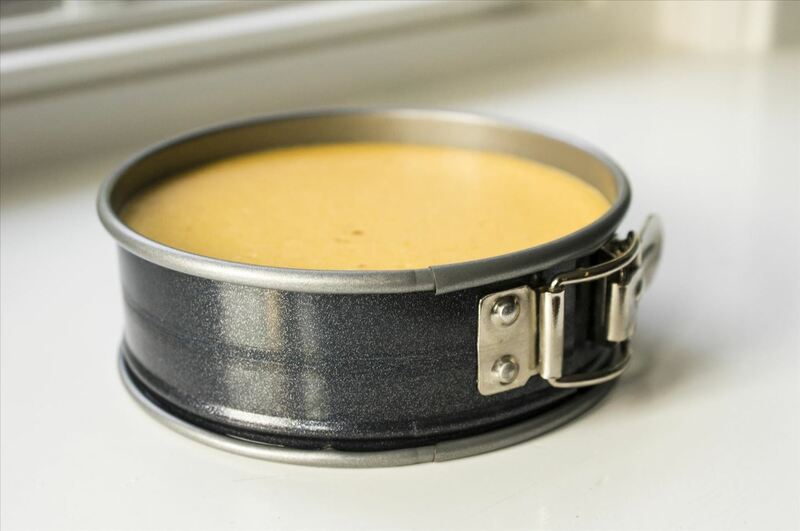 Of course, you will need to open the oven to check if the cheesecake is ready to come out (at which point the middle will be slightly wobbly), but once you find a recipe that works for you, the timing should be standard and you can get it down to one oven opening at the end when it's time to pull it out. The even heat factor continues long after the cheesecakes come out of the oven. 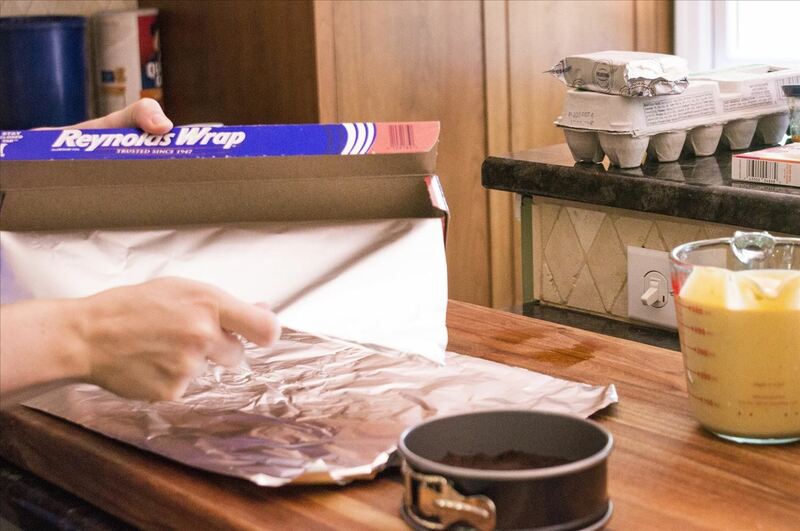 If you try to refrigerate them instantly, the cold temperature will instantly warp the surface. 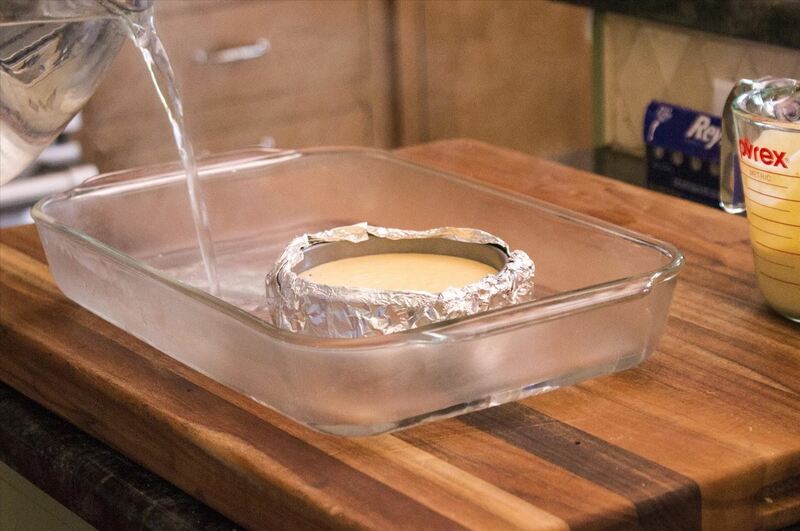 Recipes recommend different methods, but a pretty safe one is to leave the cheesecake in the water bath on the stovetop for at least 30 minutes, then transfer to a cooling rack (and remove foil) for several hours, then transfer to the refrigerator for several more hours. This painfully gradual process ensures a seamless transition from the 300+ degree oven to a wonderfully chilled dessert. Okay, but what if something has still managed to go wrong? Perhaps you sloshed the water bath when placing the cheesecake into the oven, or you let it bake for two minutes too long. Is it a lost cause? The bad news is, once the cracks are there, they are there to stay. The good news? You can hide them quite cleverly and no one will ever know the difference. The trick is a gelatinous, "no-cook" layer of batter. Reserve an extra 4 oz. of cream cheese and beat until creamy. Bring ¼ cup liquid of your choice (water is fine, but perhaps something else like coffee will reinforce the flavors of your cheesecake) to a boil and pour over half a packet of gelatin and ¼ cup of sugar, allowing it to dissolve. Add gradually to the cream cheese batter. You will add this to the cheesecake right before it goes into the refrigerator (i.e., after it has cooled on a wire rack). This way, the cheesecake chills as the gelatinous layer sets. The result? 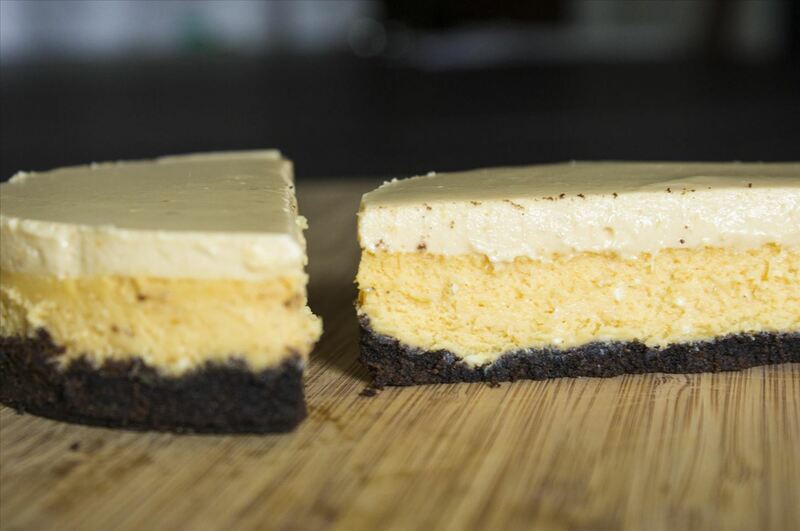 A wonderfully smooth layer that reinforces the flavors of the cheesecake while also taking care of those ugly cracks. It's the botox of baking! News: Portal is FREE from Steam!